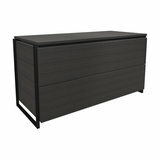 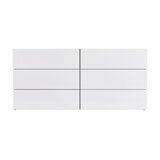 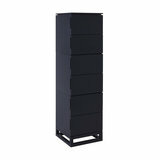 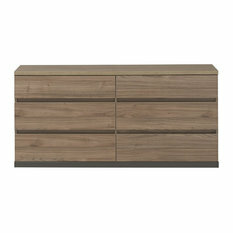 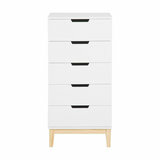 What size chest of drawers should I buy? 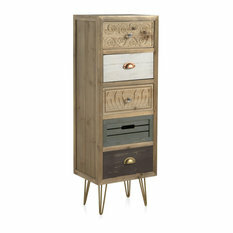 If you require a lot of storage space and you’ve been blessed with lots of floor space you might consider getting one wide chest of drawers or several smaller ones. 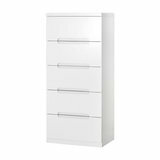 For rooms that are lacking in floor space and won’t fit a wide chest of drawers there are other styles that provide ample storage space whilst minimising the amount of occupied floor space. 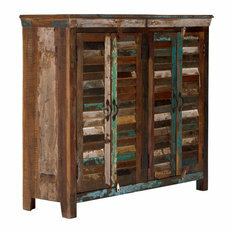 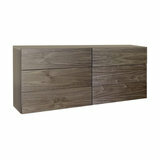 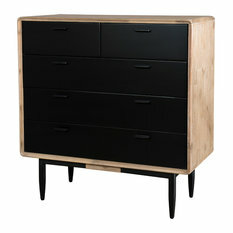 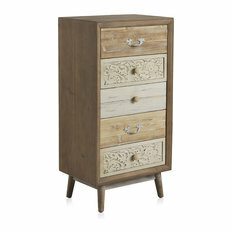 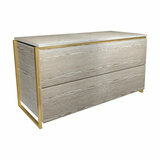 Tall chest of drawers, also known as tallboys, are a practical and stylish alternative. 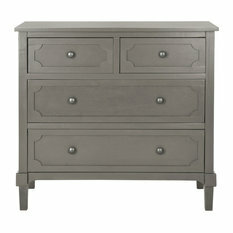 What style chest of drawers should I buy? 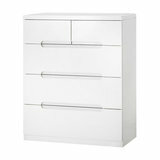 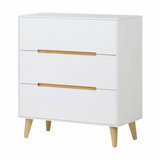 White chest of drawers are an extremely popular choice. 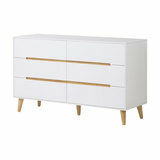 They complement a wide range of decor themes and colours, brighten up a room and can even make it feel more spacious. 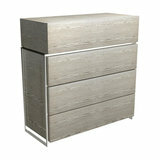 Mirrored chest of drawers are growing ever more popular and are an elegant and modern option. They can create a sense of space and light which is especially beneficial for smaller spaces. 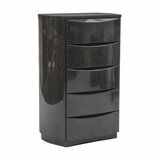 Black chest of drawers are stylish and contemporary and they can add drama, set a mood or anchor the piece of furniture to a room. 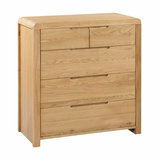 For a more traditional and classic look, you may want to select oak or pine chest of drawers for your home. 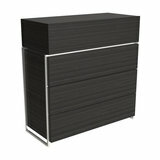 At the end of the day whether you decide to go for wooden, black, mirrored or white chest of drawers depends entirely on your personal preference and what complements your decor theme. 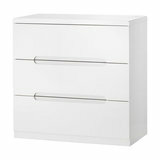 What material should my chest of drawers be made from? 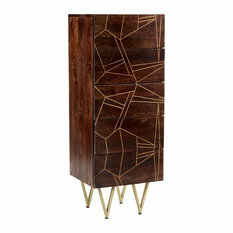 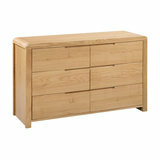 When searching for the perfect chest of drawers you will probably find that most chest of drawers are made from wood. 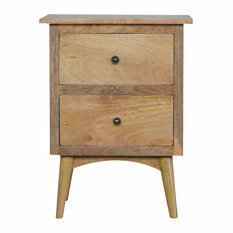 Oak chest of drawers are loved by many as they are strong, durable and rich in colour. 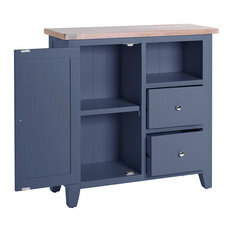 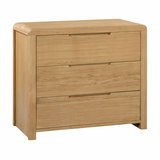 Pine chest drawers are more budget friendly and lighter in colour than oak. 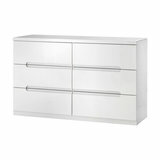 Synthetic materials such as glass, metal and plastic are growing in popularity, are durable and can add a modern and fashionable feel to the room. 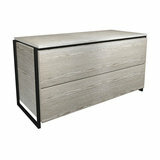 No matter whether you’re searching for wide or tall chest of drawers, or whether you prefer black, white or mirrored chest of drawers, Houzz is bound to have the perfect piece for your home.